Brisbane glass replacement emergency door & window glass repair, we will have your glass replaced in a fast time by a Licensed glazier. Furthermore, when you choose Glass Guru to fix your window repair in Brisbane you will be talking to a QBCC licensed glazier. GLASS GURU BRISBANE GLASS REPAIR. 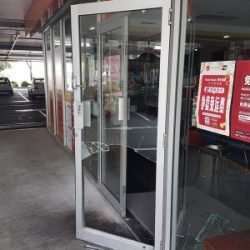 Onsite & fast door glass repair Brisbane, all glass fitted to Australian standards 1288. All broken glass is cleaned up onsite, & safely removed from your premises. Glass Glass Guru and you will be talking to a highly experienced glass replacement expert in Brisbane. 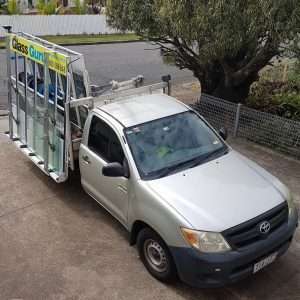 Mobile glass repair Brisbane. Most glass cut onsite. Glass Guru has been in business since 2005 QBCC licensed Brisbane glazier. Glass Guru we have been in business since 2004. We take great pride in customer satisfaction. Emergency glass window repair Brisbane, Glass Guru we aim to beat any genuine glass repair onsite quotation. We use only high quality glass for safe & secure glass window repair. Brisbane window glass replacement, all mobile window glass repair broken glass is safely removed from your premises & safely removed. All of our workmanship is fully guaranteed for all onsite glass repair services in Brisbane and Brisbane. Also you can send an email. Furthermore you can be rest assured Glass Guru glass replacement services we are licensed & insured for onsite glazing services. 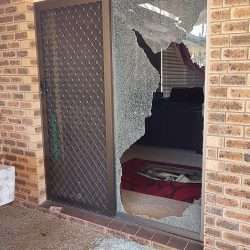 Emergency window replacement Brisbane, and need a fast window glass repair quotation, or a shattered door replacement. Wayne was prompt, professional and informative re: old glass windows. Thoroughly recommend. Emergency Home Glass Repair in Toowong. Wayne was very clear with the process and how much it would cost. Ended up costing less than expected which was already more competitive than other places I phoned. Great customer service, great workmanship. Would definitely recommend him to others. I had my broken window repaired by Wayne in Macgregor today. He is quick in response and very friendly bloke. He has done a wonderful job and very competitive price. Wayne fixed a broken window in Forest Lake today. I called around for quotes and he had the most competitive price. Great service and very friendly. Highly recommend. Wayne did our glass door replacement and repair at Kingston. He was efficient, polite and the price was good. He was very professional, even cleaned up after himself. We would highly recommend him. Great service! Wayne promptly responded to my enquiry to do some glass repairs at my house in Auchenflower. He was flexible about when the job could be done and kept in contact throughout the morning as to when I could expect him. The new glass looks great! Would highly recommend. The big winds of Brisbane caught me off guard recently and left behind a cracked door window, Glass Guru to the rescue. Wayne, was out the next day, with the materials in hand when he arrived. He was finished, cleaned up and on his way in under an hour...perfect.Great Service with Glass Guru, you won't be disappointed! Had our door glass replacement near me, Wayne from glass guru was very accomodating & fast door glass replacement. His glass repair price was very good price. Needed a window that had been cracked replaced. Glass was ordered and replaced within a week. Wayne was very friendly and communicated well with what needed to be done as well as with the quote. Was looking for a glass replacement for our cracked sliding door. Contacted Wayne and he was a pleasure to do business with, really great guy who did a great job! Would highly recommend. Wayne was fantastic! Repaired our door glass with no fuss and very professional. Great chat and great quality job. Highly recommend to anyone needing glass replacement! He made sure it was to perfection and came quickly! ☆Completely affordable!!! !☆Hopefully i wont need another window replacement, but if i do ill definitely be going through him again!!! Thank you! Would definately recommend Wayne for any glass repairs. We called him to replace our broken glass window, and he was here within the hour. Prices are great and he is a really friendly guy! Thanks again! Very quick service and a great price! A leading glass company quoted just over $1400 to come out on a Sunday and replace 2 x glass windows in a door with safety glass ($900 if we could wait a day, without their emergency call out). Glass Guru did it quickly for $500. Highly recommend and will definitely use again! Googled home window glass repair, and glass guru came up the first with 5 star review. Called Wayne straight away, sent him the picture for broken glass window, provided us with a very good quote, very affordable, arrived in our property within an hour as promised.Wayne has done amazing job replacing our broken glass window in one of our bedroom. He also removed any shattered glass and cleaned the glass both sides as requested.I really recommend his amazing service. Thanks, Wayne. Wayne did an excellent window glass repair, he turned up when he said would and charged exactly the price he qoted on the phone. And he's a cheerful guy to have in the house. I recommend him highly. Rang other companies and Wayne was best price. Wayne was flexible with his time to accommodate our busy day. His workmanship was professional in replacing our sliding glass door. I would definitely use him again and highly recommend him to others. I called Wayne about a shattered sliding glass door and he was out at my place within 30 minutes for a quote. We were happy with the price and he was able to replace the glass in the same visit and did a fantastic job clearing away all the broken pieces. His work is immaculate and I found him to be very professional and knowledgeable. We would recommend his business to family and friends. I wasn't sure what to do with the broken window. I called up the glass guru and he gave me a good quote and came out in an hour and an hour later I'm back to normal. Great service. Great quote, I will call them again if need be. Great service from Wayne. We had a broken sliding glass door that, until fixed, allowed anyone to wander into our place. Wayne quoted over the phone, arrived on time and provided a highly professional service. The final product looks great. Thanks Wayne! My wife called today and Wayne was able to come out within the hour to replace a glass door. He went above and beyond in fitting the door which was very helpful with my wife being 39 weeks pregnant. He was the best price around and very friendly both on the phone and in person. Would recommend to anyone who is after quality service for a great price. Wayne came and did a ‘door glass repair’ for us, he did an amazing job. He’s very polite, informative and trustworthy. Definitely recommend! Excellent glazier. The difference between good and great trades is their pre- and post job experience. Wayne's entire customer experience was great - from booking to him leaving our property. I definitely recommend using Wayne. Sliding glass door shattered after an unfortunate accident while mowing my lawn before christmas eve. Rang Glass Guru on Christmas Eve and other companies and Wayne quoted me less the price than of his competitors. He arrived within half an hour and got the job done within the hour. Very Happy customer! Highly Recommended! Will definitely contact him in the near future. Had a stone shatter our sliding door, late in the afternoon. After ringing several companies, Wayne was the only one who could fix it same day. He provided a prompt service, was thorough and carried out a great job, and even dropped the price a bit for us. Competitive and reliable service. Thanks Wayne! A huge thankyou to Wayne for his very quick response to our emergency window glass repair. His professionalism, advice and reasonable prices were greatly appreciated! Would recommend to any household needing glass repairs done promptly. 5 STAR GLASS REPLACEMENT IN brisbane! Glass Guru home and office glass repair in Brisbane, we take pride in our workmanship and have our customers as our main priority. To fit within your busy time schedule for any window and door glass replacement.